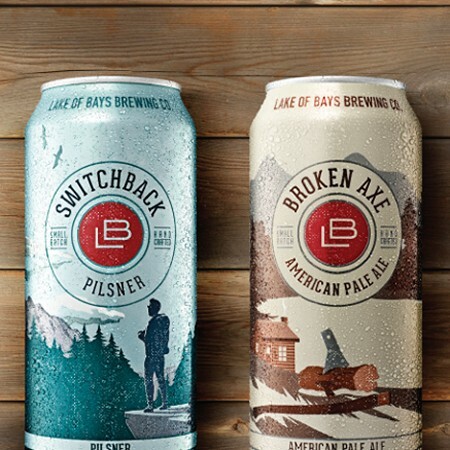 BAYSVILLE, ON – Lake of Bays Brewing has announced an overhaul to its core brands, including the launch of three new beers, and a new look for the full line-up. The new beers – Switchback Pilsner (4.5% abv, 24 IBU), Broken Axe American Pale Ale (4.8% abv, 36 IBU), and Oxtongue IPA (6.2% abv, 65 IBU) – join veteran brand Spark House Red Ale (5% abv, 29 IBU) to form a fresh year-round quartet for the brewery. The previously available Rock Cut Lager, Crosswind Pale Ale, and 10 Point English IPA have all been retired to make way for the new brands. Newly designed tall cans of the four beers are rolling out now to LCBOs, Beer Stores, licensed grocery stores, bars and restaurants throughout Ontario, and Lake of Bays will also be pouring the full line-up at festivals and events around the province in coming months. 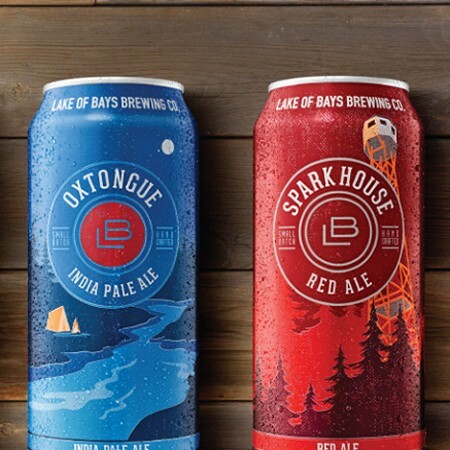 For more details, including full descriptions and tasting notes for all of the beers, see the release announcement on the Lake of Bays website.